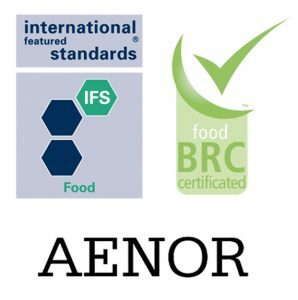 Famadesa has introduced and accredited the Quality Management and Food Safety Systems BRC (British Retail Consortium) and IFS (International Food Standard), two seals of worldwide recognition. With these guarantees, the company supports its export strategy. Famadesa has established and reported a self-control system founded on the principles of “Hazard Analysis and Critical Control Points” (HACCP) that is permanently updated. In fact, food security is a priority for Famadesa as a result of being attentive to customer concern and social demand on this matter. Daily revisions guarantee the placing on market of the products with the highest quality level. In Famadesa we know that the reliability of our products starts before reaching the farm. Therefore, we select the best grains, manufacture our own fodders and distribute them along our facilities. Owning our farms allows us to be especially alert with the compliance of the regulations about Animal Well-being under European Union Directions.. This is not a sacrifice but a commitment with quality. The slaughterhouse and butchering facilities of Famadesa are subject to continuous process of improvement in order to meet the market demand. Our Quality Department is in charge of this activity. Meat salting and curing and plants of Famadesa comprise 2,700 sqm located at the headquarters of the company. Only this way it is possible to implement the know-how acquired from generation to generation. Thanks to decades of relationship with our customers, we have we own production and packaging facilities for meat products which enable our company to meet constantly the most demanding market and the exportation. In Famadesa, we have the necessary means to take our products with guarantee to any point of sale, no matter where it is. We have our own van fleet and hold agreements with the most creditable shipping companies in order to be able to reach our products across the five continents.